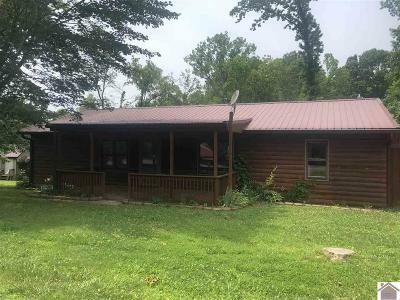 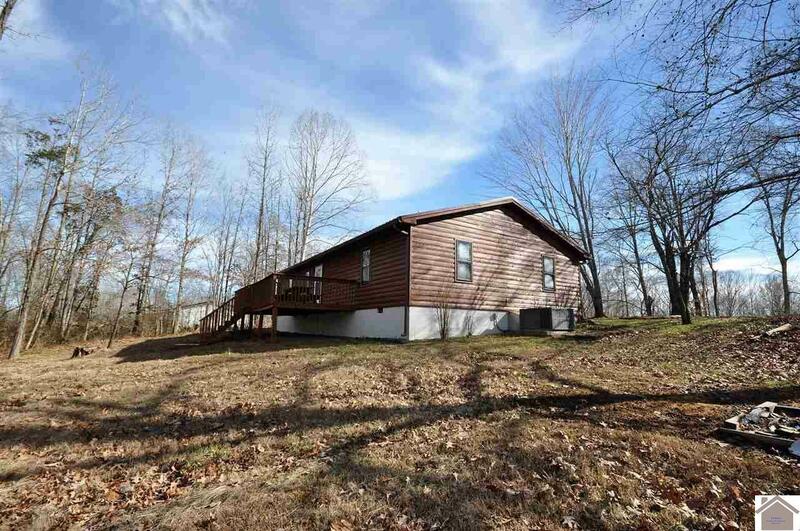 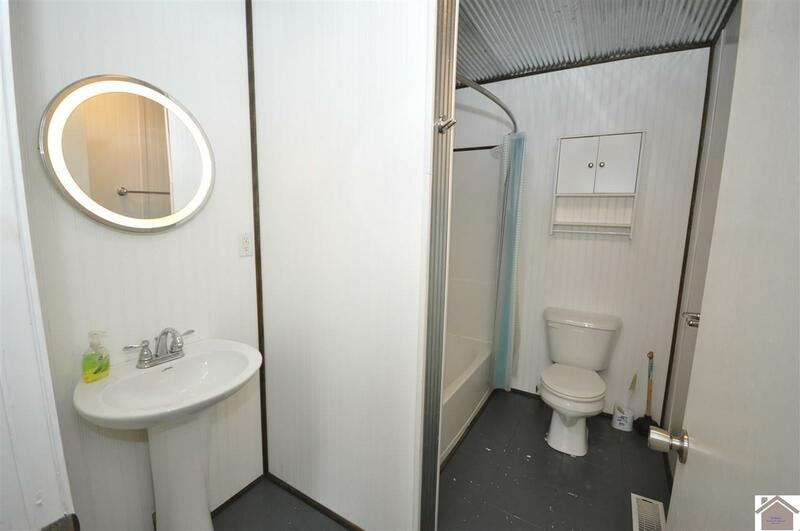 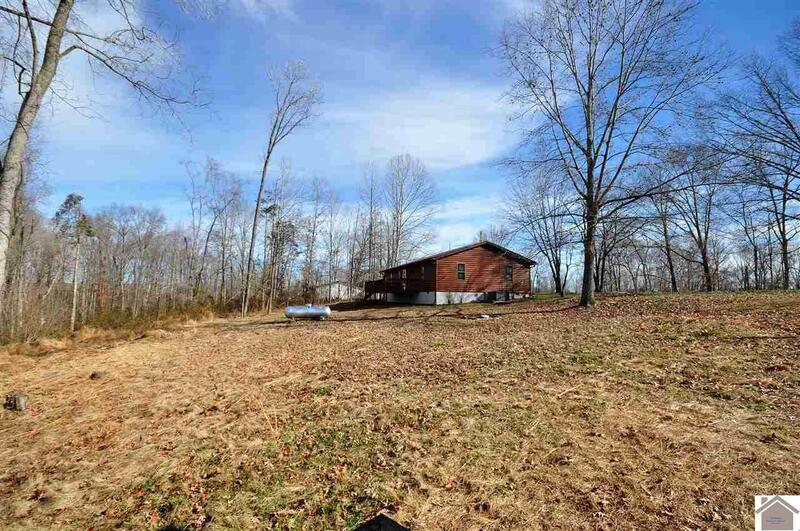 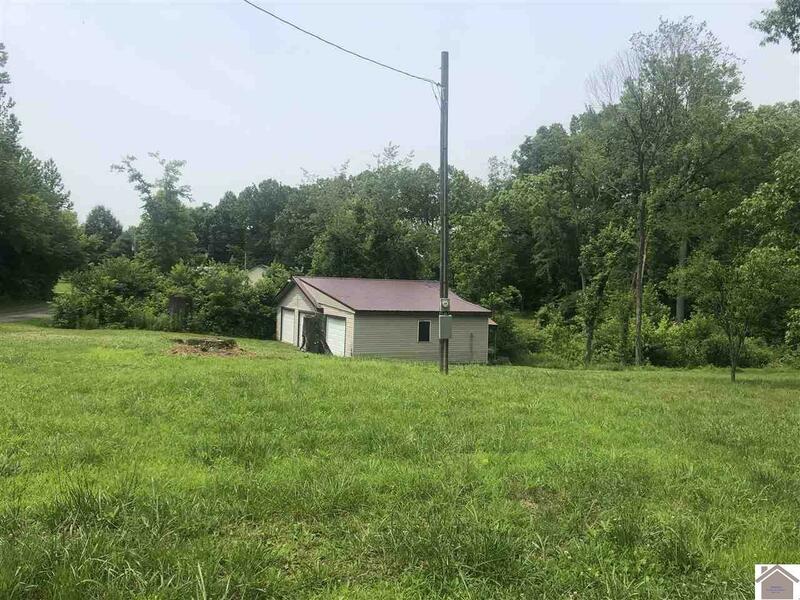 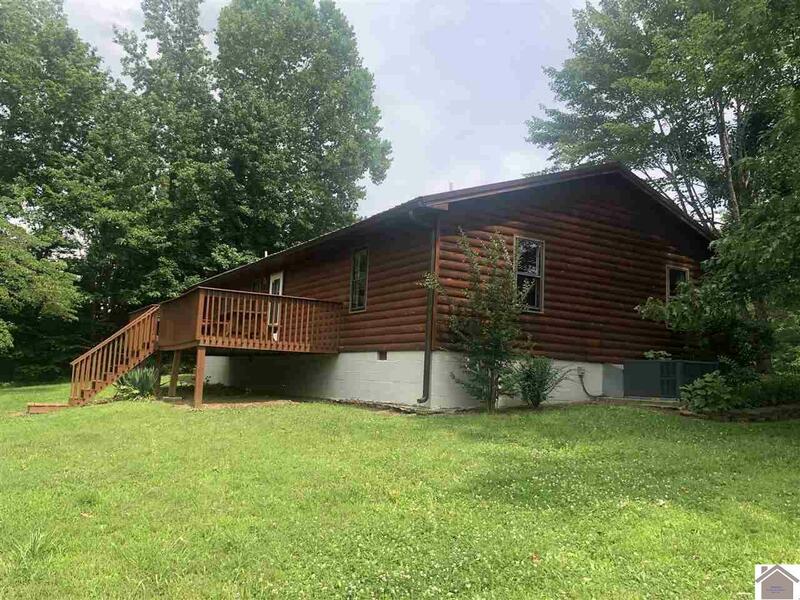 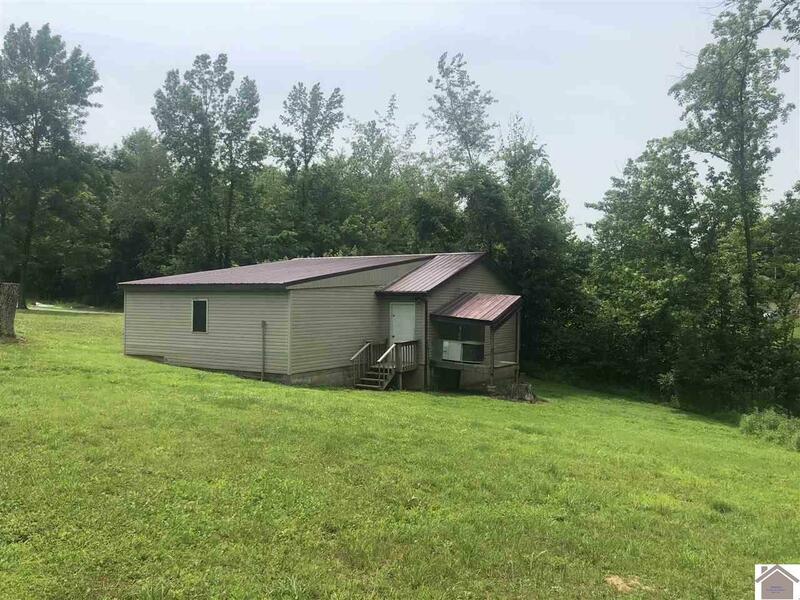 This 3 bed 2 bath home, located within minutes of Barkley Lake and Moon River Marina, features a home theater projector with surround sound, a seasonal water view and 3 car detached garage for every fisherman or mechanics dream! 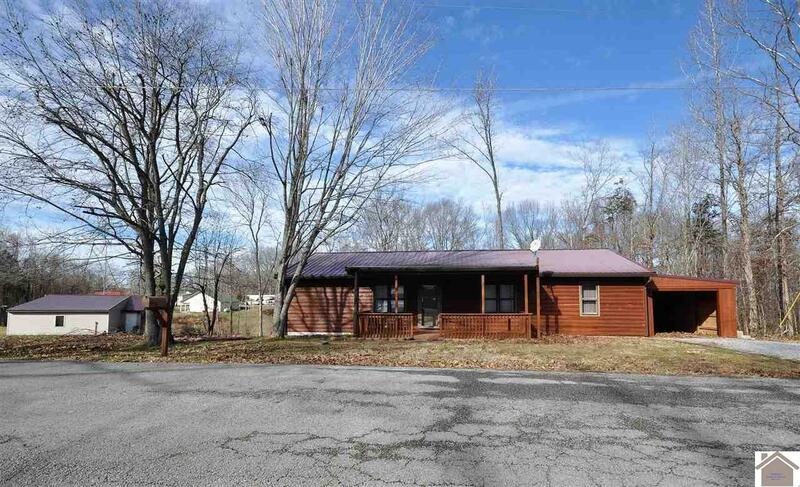 The outside boasts new gutter and stain. 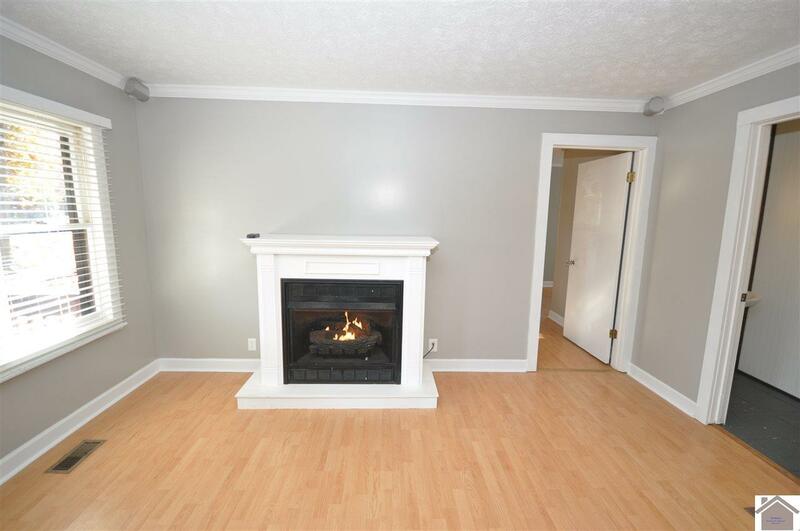 Recently painted throughout, laminate floors, gas fireplace and open concept gives a rustic yet modern vibe that makes you feel as if you are on vacation. 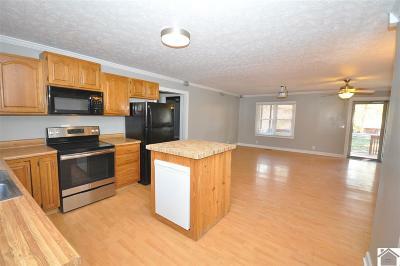 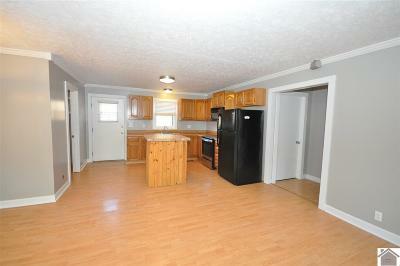 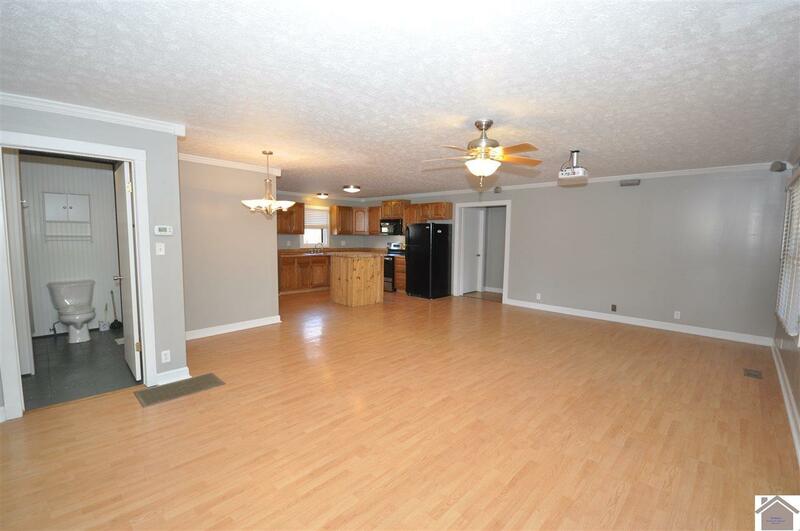 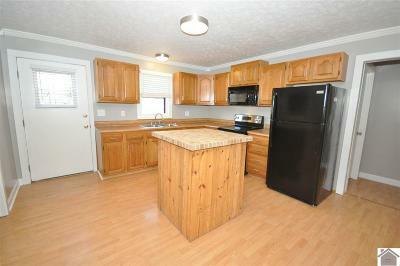 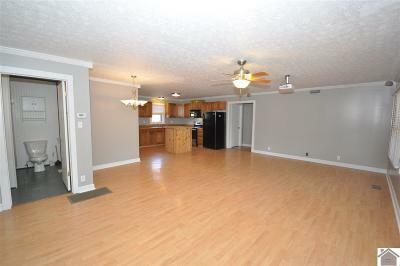 Kitchen has plenty of cabinets, nice appliances, and a small island for prep work. 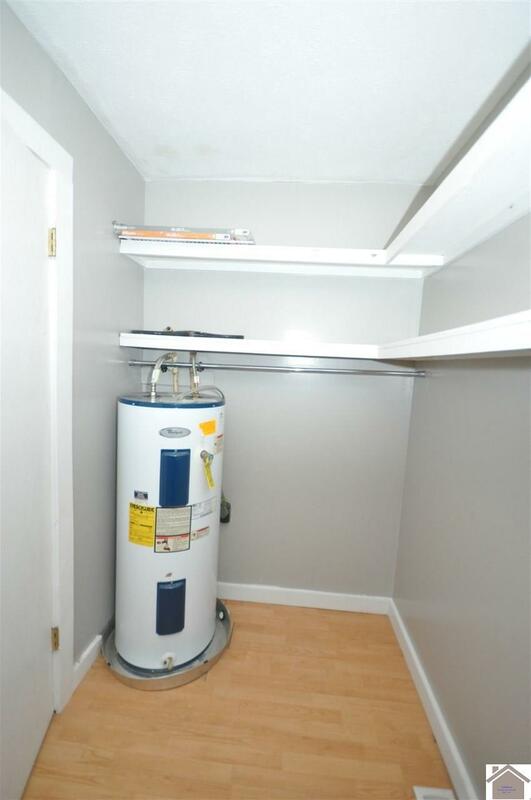 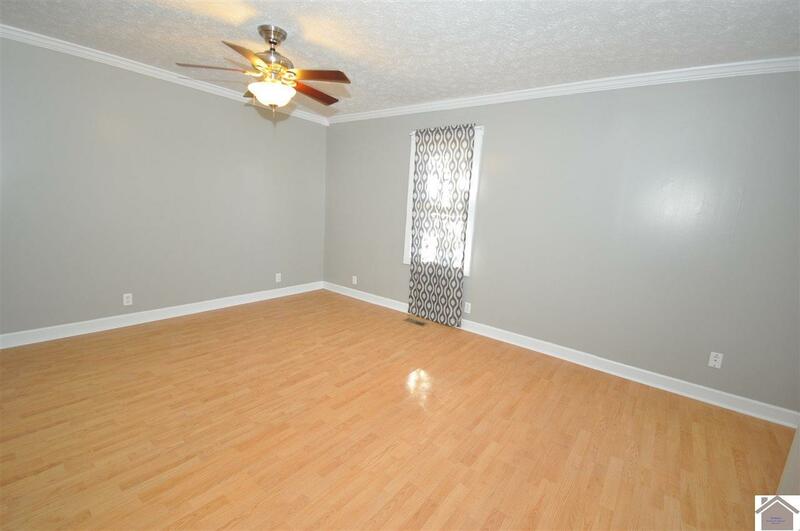 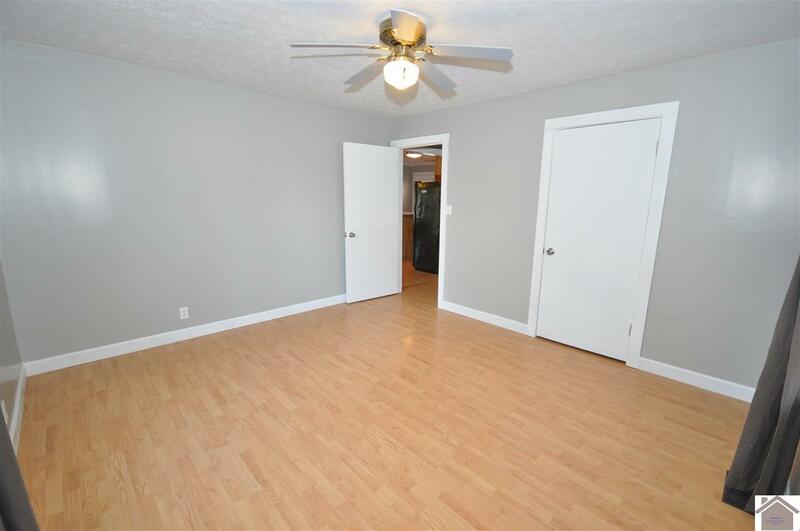 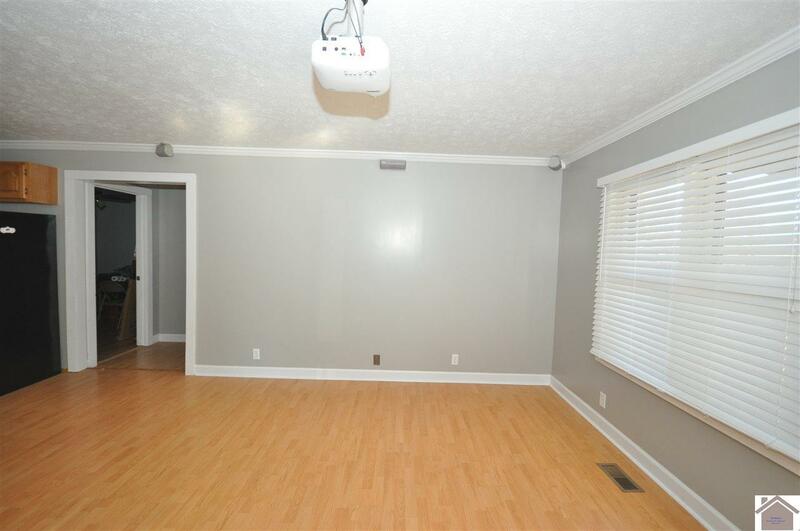 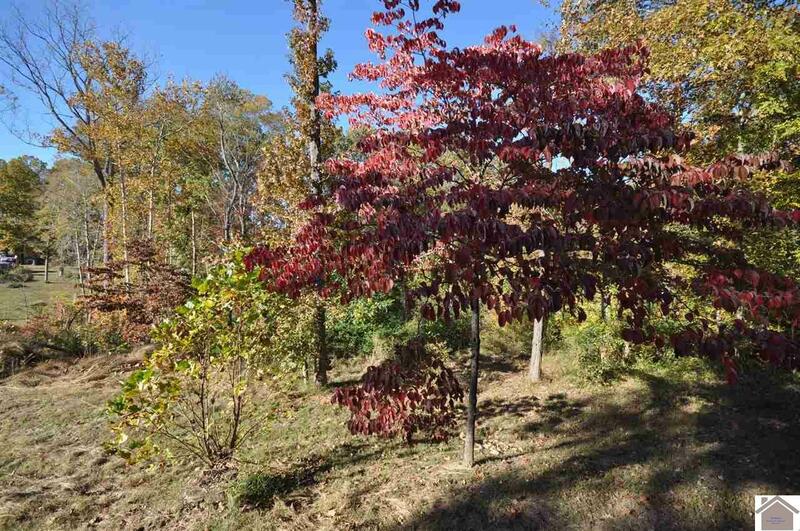 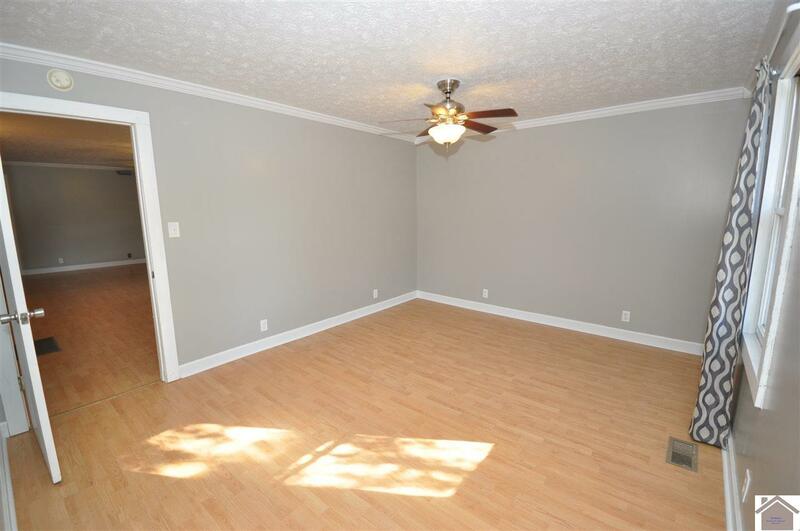 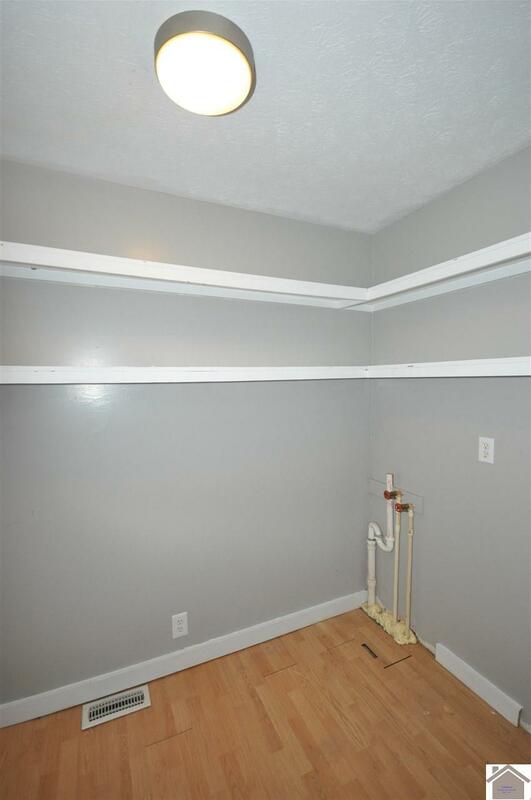 You will love the large walk in laundry and pantry. 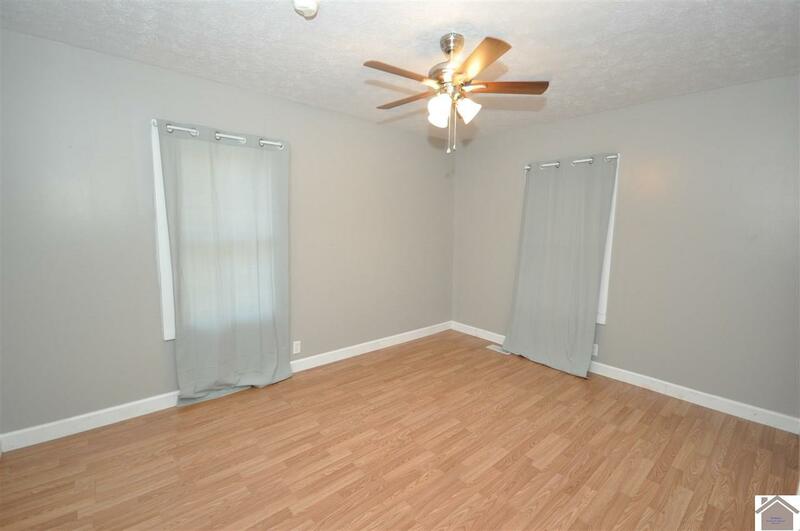 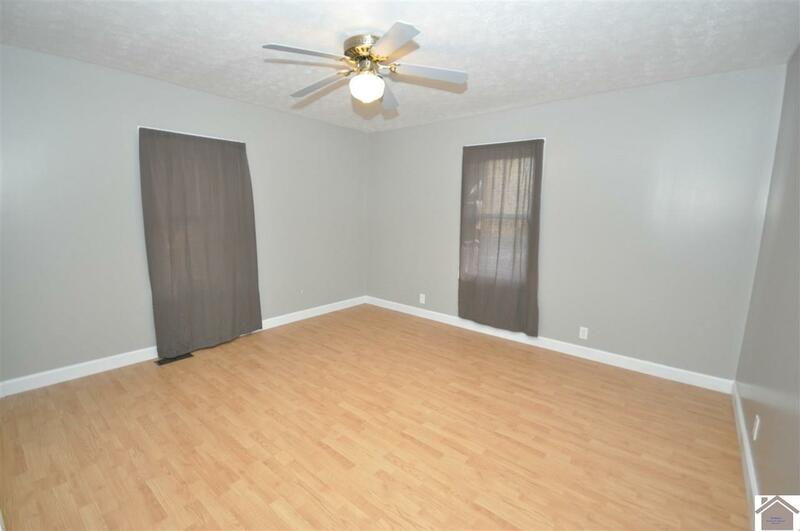 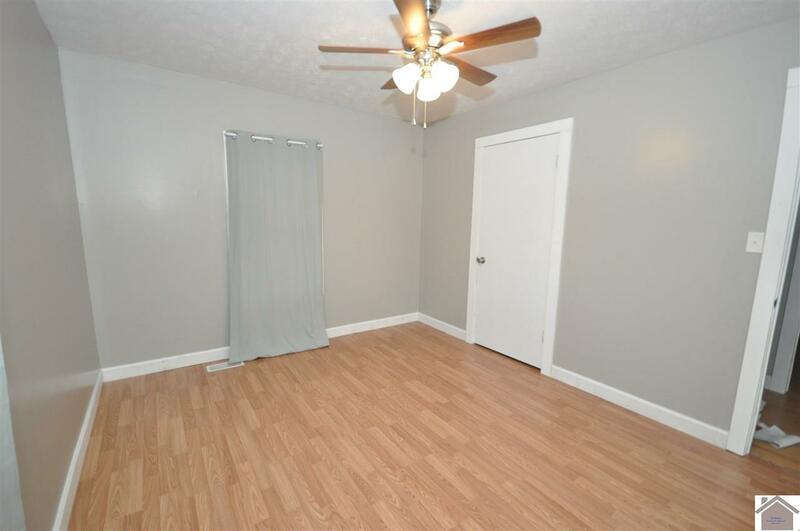 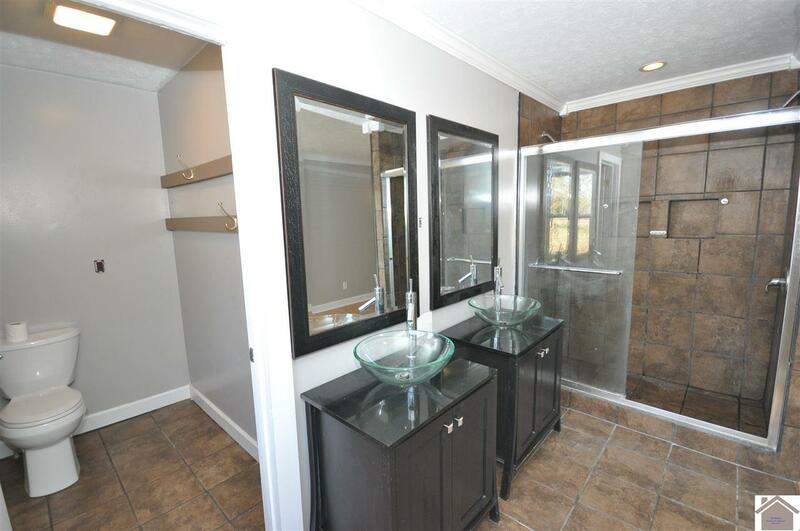 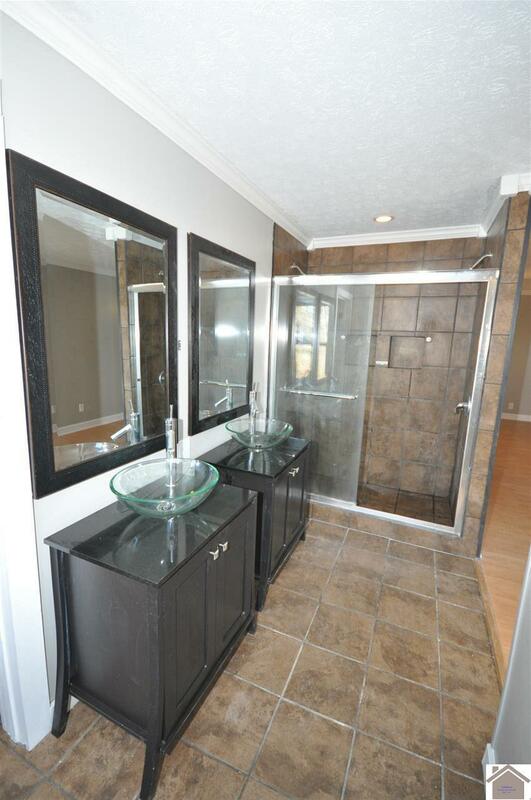 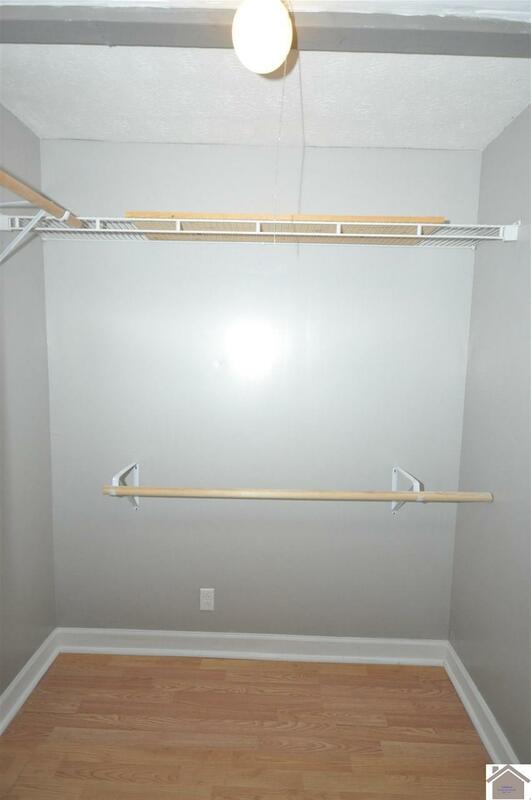 The Master bedroom features a walk in closet and large tiled shower with dual shower heads and double vanities. 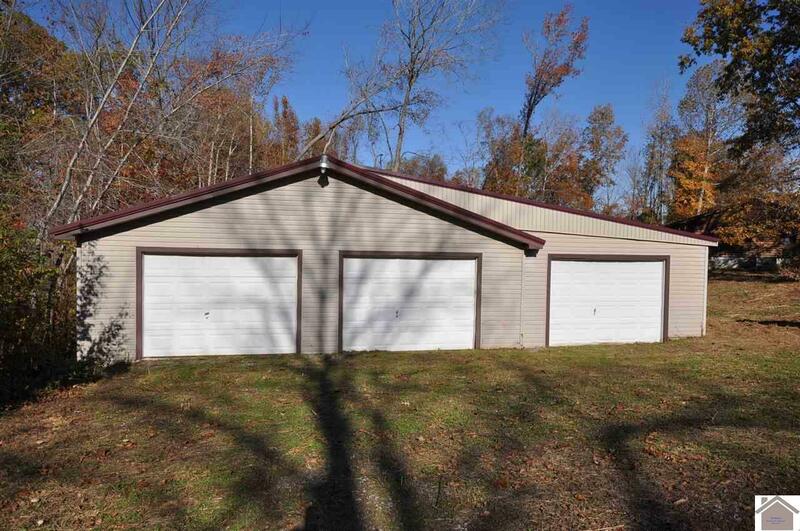 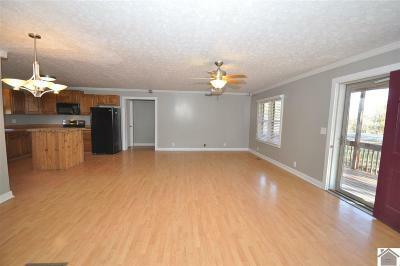 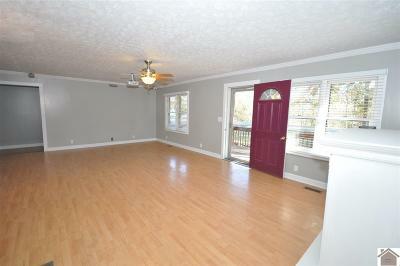 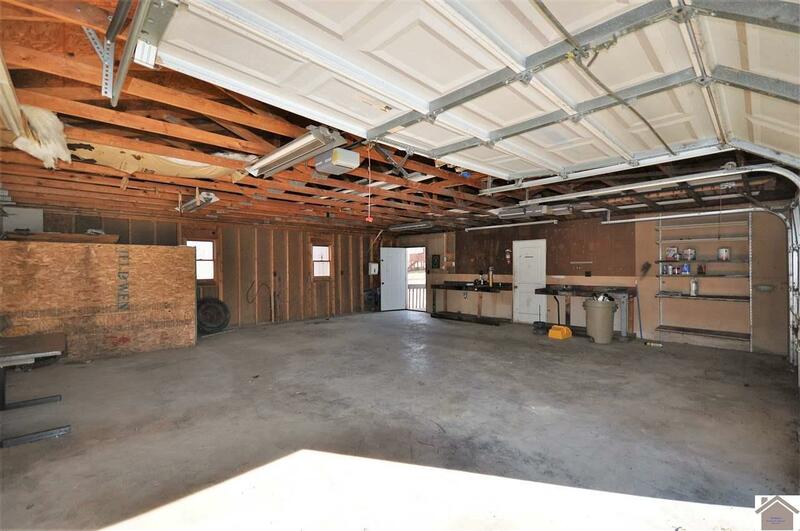 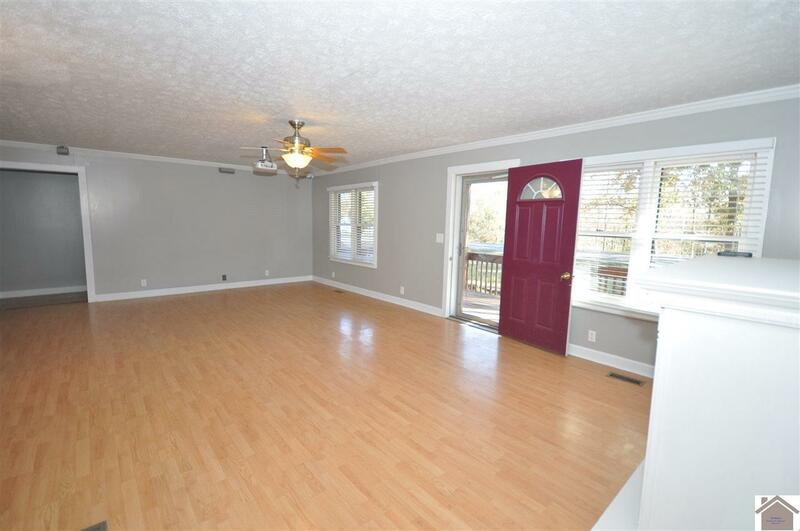 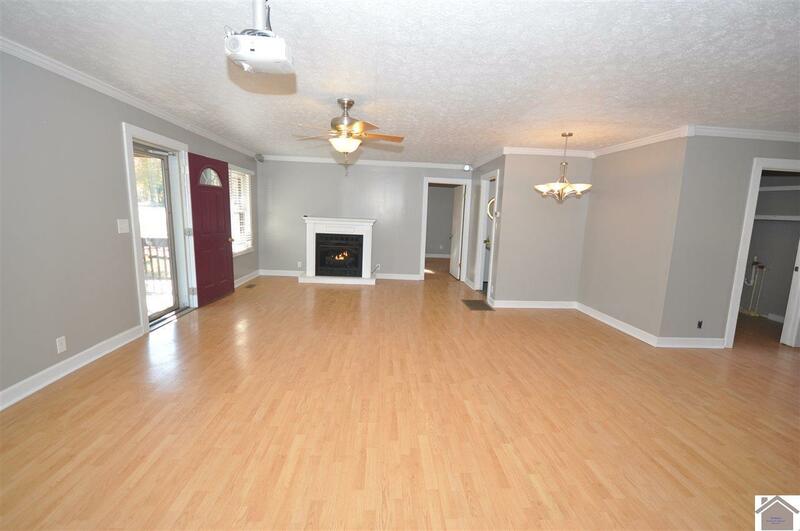 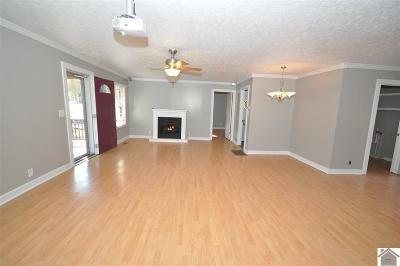 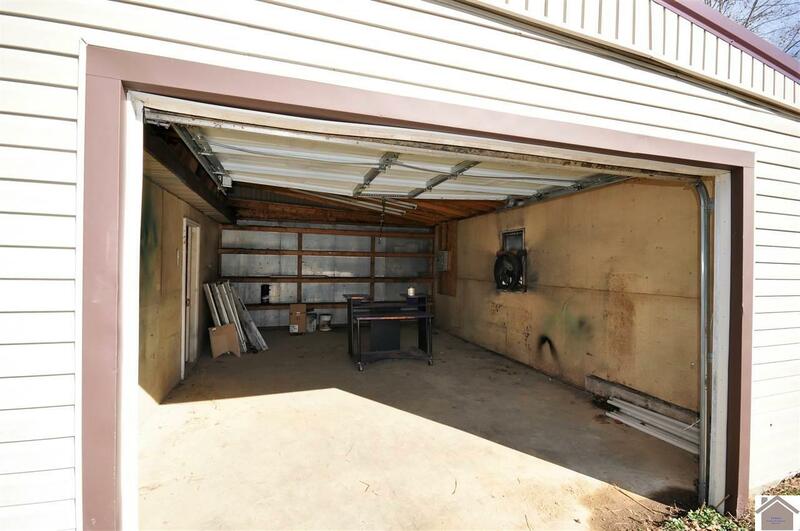 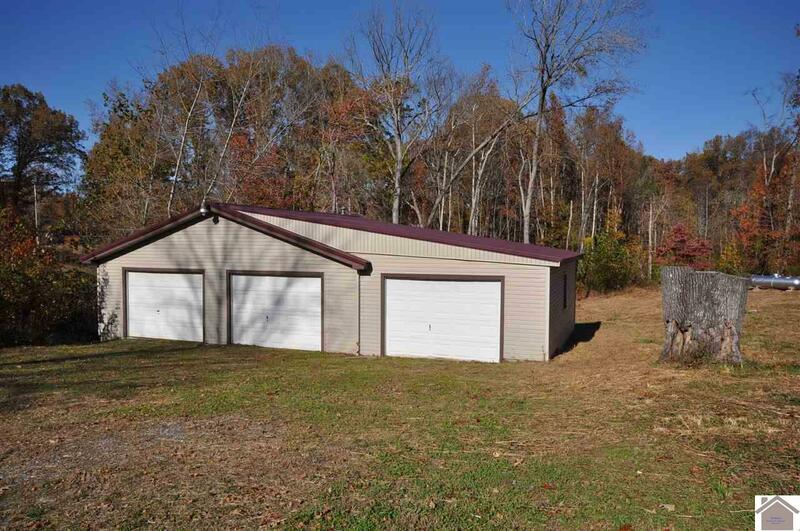 This home has an attached carport, a large deck and nice covered porch.